Leggings are designed for modern women, who have assumed different roles at various places. At home, she is more than a home-maker; she rises to the challenge of being a mother, a wife, a sister, a daughter and a daughter-in-law. At office, she has climbed up the corporate ladders. Thus, just like her day-to-day roles, she deserves comfortable leggings as against rest of the clothes. At Infibeam, one can find an amazing collection of leggings for women; this showcase puts together comfort wears like chudidar, pantyhose, jeggings, stockings, and swimwear. These leggings have been made from materials of premium quality like blend, Corduroy, Cotton, Denim, lace, Lycra, Nylon, Polyester, Spandex, synthetic and viscose. This leggings store is now just a click away and lets you grab trendy designs that would make you look dazzling. Women's clothing designs are rapidly changing and an individual can face an embarrassing moment if they fail to understand fundamental concepts of fashion like leggings. Thus, one has to know the basic aspects of fashion that a person can employ in daily life. When it comes to leggings, you would have to choose leggings that keep you comfortable and remain durable. 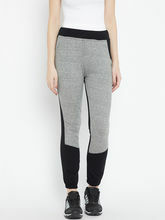 Leggings can be used for informal and formal occasion. It blends well with nearly all kinds of ethnic wear and one can pair it well with sandals and heels. The collection on Infibeam is divided into various categories like Bestselling, Golden girl, Printed leggings and design classics. 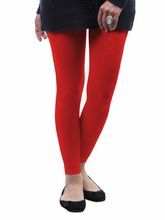 Each category contains range of leggings in different colours and shapes. They are reasonably priced and delivered to you within no time. One of our best-selling leggings is the L’Elegantae Corduroy Jeggings that are an absolute new-season must-have. It features a skinny fit and these Corduroy pants have an elasticised waistband with two pockets at the back. The subtle sheen of the fabric makes this an excellent party essential. You can perfectly pair them well with a sequined top and a pair of patent platforms for party after-work. The Golden-girl Basic casual skinny fit leggings is just about the kind you could ask for. This attractive piece of leggings has to be there in your wardrobe. The solid shade and the skinny fit makes them look absolutely trendy. It is crafted from Nylon-Lycra blend, which offer you the softest feel and the snuggest fit. You can easily pair them up with tunics or long tees with wedges or Stillettos. The sweet dreams metro muse printed leggings make you look dressed to kill. Show off your beautiful legs in this pair. They are super comfortable and very stylish. They stretch to give you a super snug fit. They perfectly complement your individual sense of style and give an ideal finish to the whole casual ensemble. It is made of ninety-five percent of cotton with five percent of Spandex. It also includes an elasticised waist. These leggings make you look chic and fashionable yet keep you comfortable at the same time. It’s time to redo your wardrobe and stock it up with these really attractive leggings.